During the fall term of 2014, the average American college student spent $316 on textbooks (National Association of College Stores, 2014). As both an instructor and graduate student at the time, I felt the strain of that cost and the frustration of using only slim sections of misnamed required texts during my coursework. During the spring semester of 2015, I tried something radically different: I asked my distance education students to register for free accounts on the websites Goodreads and Pinterest, then make sure their card to the local library was up-to-date. Translation? I tried having a course without textbooks. This decision stemmed from several major factors, but one is particularly of note. The online course in question was a humanities course housed in the School of Education at the University of Missouri-Kansas City. While it was a required children's literature course for pre-education majors, it was also an optional elective for students across across campus—and sometimes across institutions-- to fulfill a general education requirement. For this latter group of students, requiring a textbook that would either fetch a paltry resell price or gather dust until a Fahrenheit 451 reenactment seemed antiquated. Attempting to better meet the needs of my modern and eclectic student group, I looked for options within professional learning communities I most utilize: Twitter, Facebook, Pinterest, and blogs. I immediately noticed the irony. If I turned to social media for information, inspiration, and research based pedagogies, these same social media platforms could also become my students' textbooks. Previous research on social media platforms such as Edmodo (Thibaut, 2015), Twitter (Simplicio, 2015), Movie Maker and iMovie (Smith, 2016) have focused on every level from early education (i.e. Thibaut, 2015) through post-secondary education (i.e. Nakagawa & Arzubiaga, 2014). However, Goodreads is one social media platform that has not been richly explored as a social media pedagogical tool in higher education. 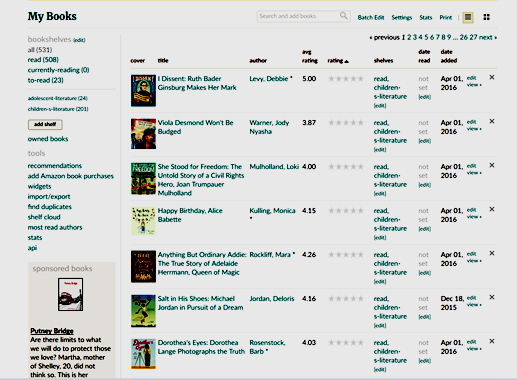 Goodreads, owned by Amazon, is a social media platform that caters to the bibliophile (Figure 1). It combines the personal profiles of Facebook with the user-generated reviews of Yelp and places them all within the context of a digital library where users can create shelves of book titles (Figure 2), form discussion groups (Figure 3), and even contact authors (Figure 4). 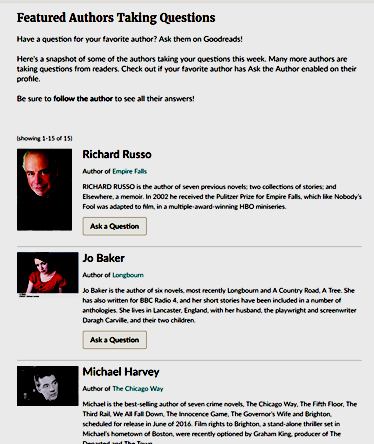 Figure 4: Featured Authors Taking Questions. 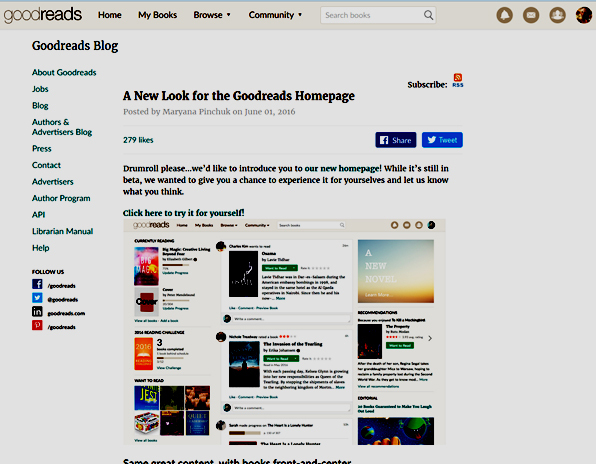 Goodreads connects authors with readers and fans, allowing live events and asynchronous question and answers. Students will be able to critically analyze, evaluate, and select children’s literature for a variety diverse settings. Students will be able to share culturally diverse literature with children. Students will be able to identify and challenge prevalent myths and stereotypes in society that are often reflected in literature. In order to meet these goals, students engaged in a range of readings, viewings, discussions, and application activities. Many of these assignments included using their Goodreads account. Below, I provide a description of four course assignments that utilized Goodreads; these assignments have been refined and developed over three semesters teaching the course: analyzing a bookshelf, ruining your childhood day, and creating collections. 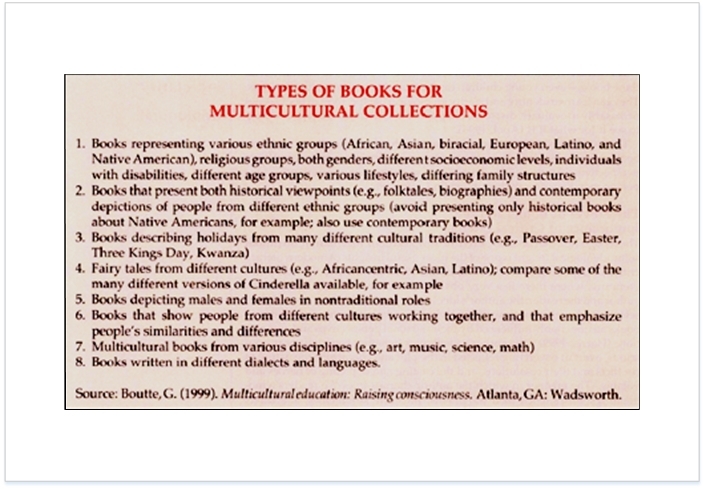 After learning about the definition of a multicultural text and reviewing guidelines for creating a multicultural book collection (Boutte, 2002), students were asked to find a Goodread user's bookshelf or a list that was titled “Children's Books”, “Multicultural Children's Books”, or some variation and analyze the books based on the guidelines provided in Figure 5. For example, one student noted the guidelines for the multiple user-generated Listopia "Best Multicultural Books for Children" available at https://www.goodreads.com/list/show/3721.Best_Multicultural_Books_for_Children to compare the criteria for multicultural texts. The use of a real world bookshelf immediately engages students because it is real-world and authentic practice. As a "getting to know you" activity, students in the course recalled their favorite children's book from when they were young. After students have learned how to evaluate individual books for bias and stereotypes (Boutte, 2008), I host a tongue in cheek “ruining your childhood day” and provide links to critiques of the students' favorite childhood texts. 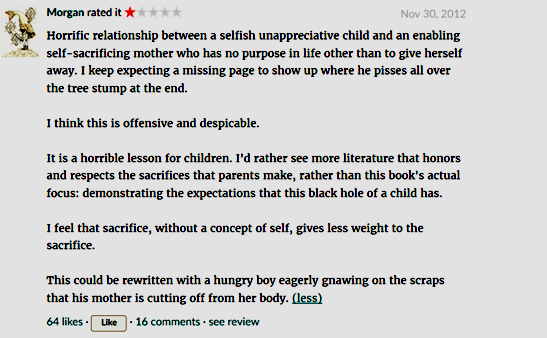 These one star reviews could range from complaints about The Little House on the Prairie's representation of Natives (Figure 6) or the stereotypical use of familial and gender roles The Giving Tree (Figure 7). This activity first helps students to reread the text through a new critical lens that can identify bias they may have missed as children (Figure 8) and also allows students to reply directly to the one star reviews if they disagree with the interpretation of the book as a means of practicing critical discussions about literature (Figure 9). 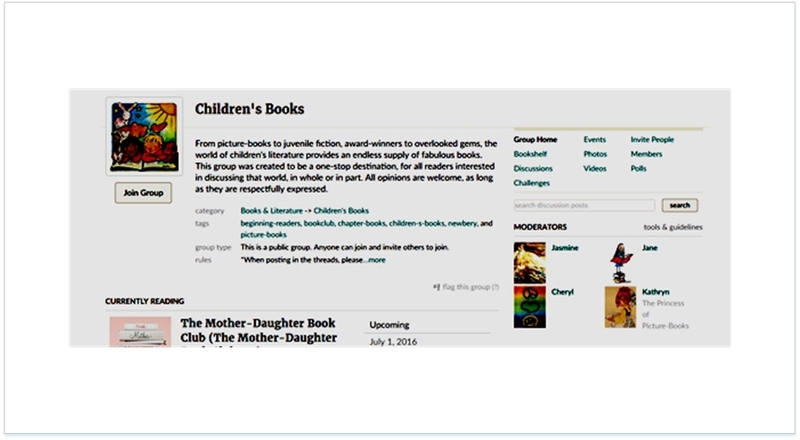 In order to illustrate the gaps that exist in children's literature, some assignments ask for a new bookshelf to be created on the student's Goodreads account. 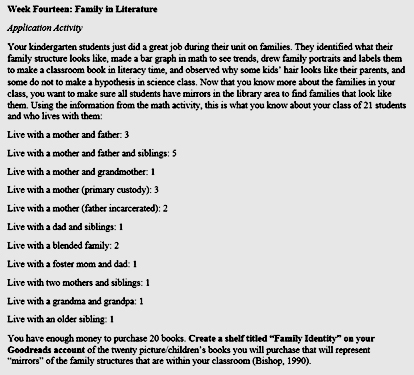 For example, in Figure 10, one activity gave students a mock classroom with various family structures and requested twenty texts that acted as mirrors (Bishop, 1990) for the different family structures. 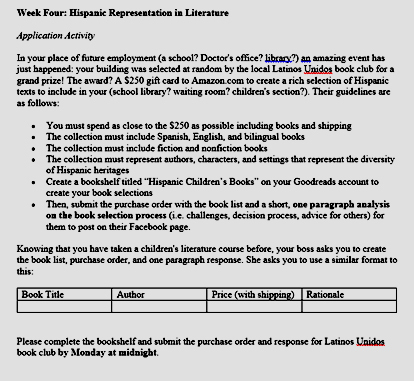 Another take on this activity asked students to work within a budget to create a mini-library for a doctor's office that represented a variety of Hispanic and Latina cultures (Figure 11). In conclusion, these assignments all used a free social media platform to replace a bulky textbook within one humanities course. Ultimately, it was one of several social media vehicles I used as texts within the course and Goodreads provided a real time, engaging, and real world environment to apply and refine students' skills. As an added bonus, once my students added me on the social networking platform, it enabled all of our professional learning communities to grow. Boutte, G. S. (2002). 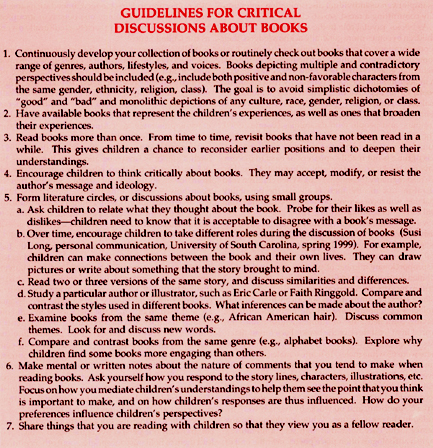 The critical literacy process guidelines for examining books. Childhood Education, 78(3), 147-152.
traditional teaching and learning methods. Clinical Teacher, 11(6), 449-453. doi:10.1111/tct.12191. Meabon Bartow, S. (2014). Teaching with Social Media: Disrupting Present Day Public Education. Educational Studies, 50(1), 36-64. doi:10.1080/00131946.2013.866954. Nakagawa, K., & Arzubiaga, A. E. (2014). The Use of Social Media in Teaching Race. Adult Learning, 25(3), 103-110. doi:10.1177/1045159514534190. National Association of College Stores. (2014, January). FAQ on textbooks. Retrieved from: http://www.bibme.org/citation-guide/apa/website. Simplicio, J. (2015). How to effectively use social media as in-class teaching tools. Reading Improvement, 52(4), 142-144. Smith, B. E. (20 ). Seeing it from a different light: Adolescents' video reflections about their multimodal compositions. Journal of Adolescent and Adult Literacy, 59(6), 719-729. Thibaut, P. (2015). Social network sites with learning purposes: Exploring new spaces for literacy and learning in the primary classroom. Australian Journal Of Language & Literacy, 38(2), 83-94. Vlieghet, J., Vandermeersche, G., & Soetaert, R. (2016). Social media in literacy education Exploring social reading with pre-service teachers. New Media and Society, 18(5), 800-816. 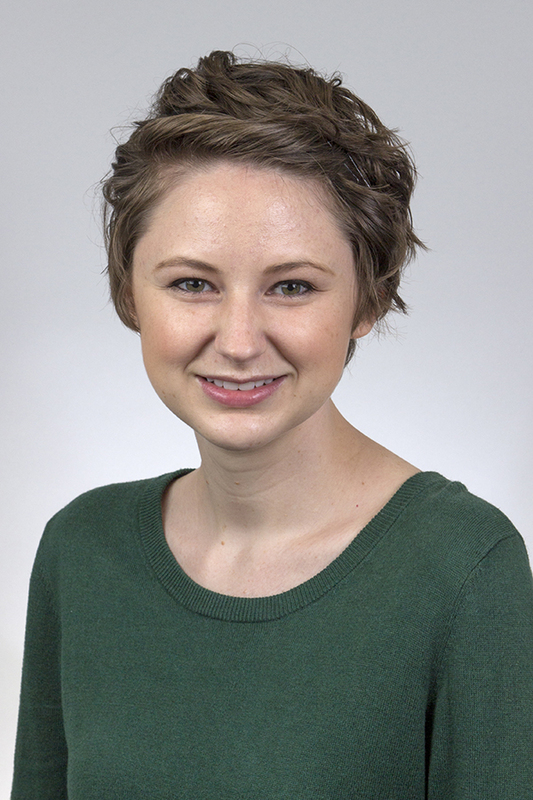 Leah Panther is a doctoral student in Teacher Education and Curriculum Studies at the University of Missouri Kansas City. She is also an instructor in the Language and Literacy program. Her research interests include disciplinary literacy, middle school literacy education, and religious cultural identity. She may be reached at pantherl@umkc.edu. 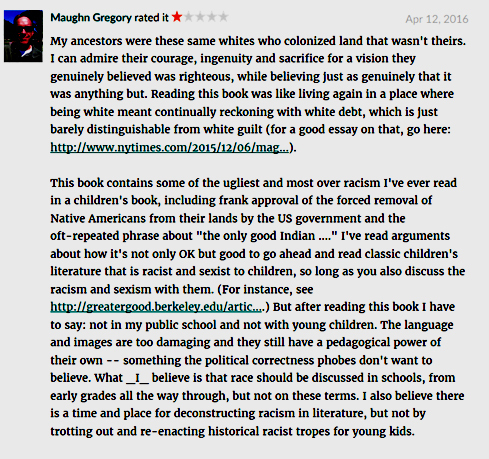 Discussion of "No Textbook, No Problem: Using Goodreads as a Multimodal Text"
Version 9 id 931201 of this page, updated 22 November 2016 by Shalin Hai-Jew. Created by Shalin Hai-Jew.